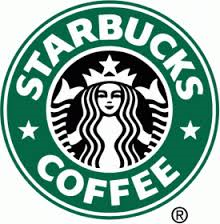 Investors who have shares of Starbucks Corporation (NASDAQ:SBUX) on their portfolios have plenty of reasons to celebrate today since the coffee icon is actually set to jump on to the next level of sophistication. For its CEO, Howard Schultz, things are looking up not just on the professional front but on a personal level too. During his brief appearance on CNBC, CEO of the global brand announced that time has come for the company’s aspirations to get translated into reality and the launching of ‘Starbucks Reserve’ in Seattle was the first step in this direction. The next megastore on similar lines is scheduled for being inaugurated in 2016 and is likely to be stationed in an Asian locale and subsequently there will be 100 such stores scattered all over the world. Given the problem of over-crowding in its stores across USA, CEO of Starbucks Corporation (NASDAQ:SBUX) said that it was just a matter of time before the solution was implemented. What had started off as an experiment in Portland, Oregon, would now be implemented on a nationwide scale wherein customers will have the option of paying via their mobile devices and get their coffee delivered at home. Another issue that came up pertained to raising of minimum wages of employees to $15/hour. If nothing else, this in itself for the stock to shoot upwards and that is why it should have been there in your portfolio. Starbucks coffee is good, but let alone it is overpriced, you can make better cappuccino with just $250 worth of equipment( espresso machine & grinder). So you will save a lot in the long run and drink better coffee.